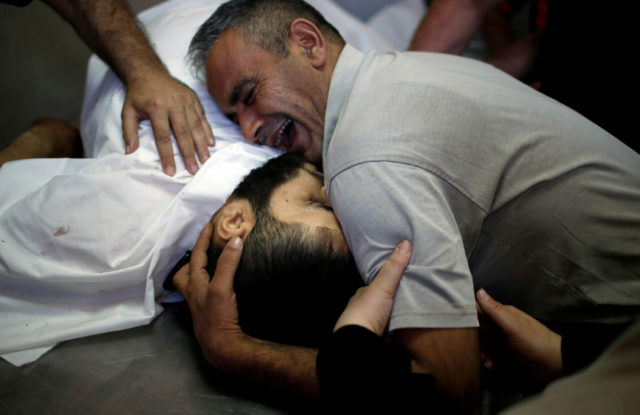 The brother of Palestinian Shaher al-Madhoon, who was killed during a protest at the Israel-Gaza border, reacts over his body May 14 at a hospital morgue in Gaza. Already in a precarious state, Gaza's health system faces a medical emergency, with more than 1,000 people injured in the recent Gaza border demonstrations which flared up since March 30. (CNS photo/Mohammed Salem, Reuters) See GAZA-DESPAIR-CRS May 24, 2018. 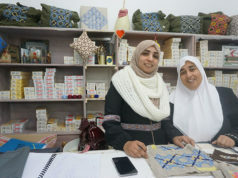 JERUSALEM — Already in a precarious state, Gaza’s health system faces a medical emergency, with more than 1,000 people injured in the recent Gaza border demonstrations that flared up since March 30. A Palestinian wounded at the Israel-Gaza border is carried into a hospital April 27 in Gaza City. 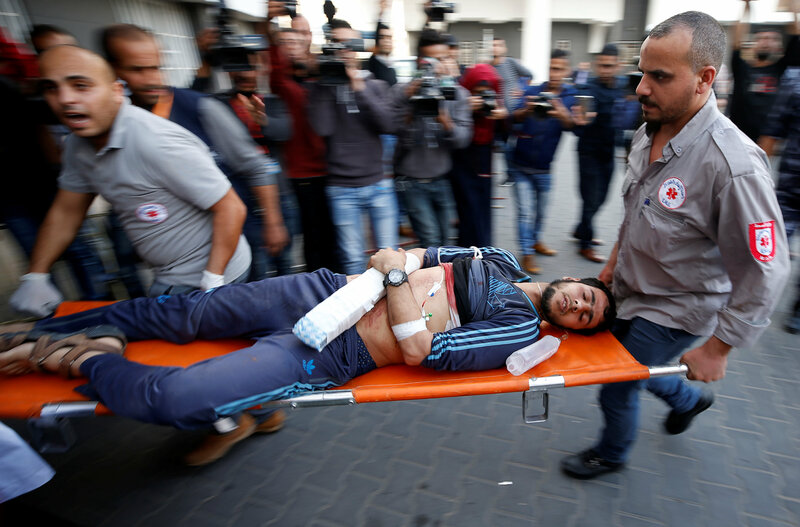 Already in a precarious state, Gaza’s health system faces a medical emergency, with more than 1,000 people injured in the recent Gaza border demonstrations which flared up since March 30. (CNS photo/Mohammed Salem, Reuters) See GAZA-DESPAIR-CRS May 24, 2018.